The struggles of a growing China, with controversial human rights policies, are explained in this informative interview with Liu Xiaobo. China is growing quickly. Their economy is expanding, and a growing number of people in China can access information from around the world. Liu Xiaobo, a pro-democracy activist explains his predictions for the future of China, and discusses the struggles the country will likely face as it continues to grow and find its place on the world stage. This DVD will inform viewers on some of the most pressing human rights issues China faces, including the issues with Tibet, as it is watched closely by other world powers. 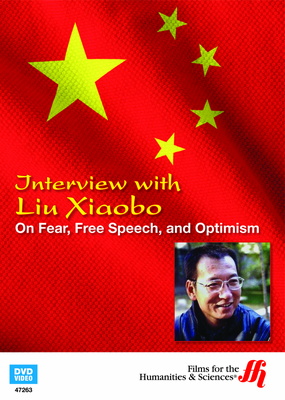 This interview with the 2010 Nobel Prize laureate took place a few months before his arrest in December 2008 by the Chinese government.